“A scientist told a national magazine that a federal agency changed his analysis of photographs of Drakes Estero to justify a claim of environmental harm against Drakes Bay Oyster Company, which ceased operations last month…. The idea that Lunny’s farm was a heavy industry that imperiled the park’s wildlife was, for a while at least, the core reason for evicting him. But for the U.S. Department of the Interior (DOI), the only agency with the power to enforce full wilderness protection, there was one problem with this argument: PROVING IT!!! “I have spent the past 35 years exploring… the many challenges attendant to producing food in a manner that is ecologically benign or, at its best, beneficial. …. it was not until I watched the evolution of the Drakes Bay Oyster Farm under the stewardship of the Lunny family that I came to fully appreciate how closely the Farm approaches perfection as a truly sustainable food production system. The park, the E.A.C., the N.P.C.A. and others have claimed they are not trying to get rid of the ranches. We are skeptical. If they mean what they say, then we ask Jon Jarvis, Neal Desai, Gordon Bennett, Amy Trainer and Jerry Meral to make the following pledge to the community: I promise that neither I nor any organization I am a part of will ever participate in legal action to eliminate or restrict the ranches on Point Reyes; and if such legal action is ever taken, I will do everything in my power to vigorously defend the ranches. If they don’t take the pledge, watch out. Our ranches are about to disappear. ….The “smear Lunny” campaign began in the spring 2006 Sierra Club Yodeler magazine by Gordon Bennett, then Chair, Marin Chapter. Even an internet review will show that much of the campaign against the Lunnys originated with one individual, plus the direct involvement of a then-retired major Sacramento political player, active in West Marin after leaving his job with a major environmental lobbying group under a cloud. Anything beyond the most cursory examination would find multiple cases of hidden and misrepresented data, not to mention deliberately altered photographs used without permission, known false statements about endangered species and the creation of a new hypothesis of harm each time previous claims were discredited. The link to the article: Feeding 9 Billion | National Geographic. To feed our hungry planet, we must change the way we farm – and the way we think. Where will we find enough food for 9 billion? New NOAA and U.S. Geological Survey study published in the journal Aquatic Geochemistry. The team sought to assess how shellfish aquaculture – specifically oyster aquaculture — could be used to remove nutrients directly from the water, complementing traditional land-based measures. Oysters… can clean an enormous volume of water of algae which can cause poor water quality. A combination of aquaculture and restored oyster reefs may provide even larger overall ecosystem benefits. A smaller area could still provide great benefits if aquaculture leases were approved. According to the study, if only 15 to 20 percent of the bottom was cultivated it could remove almost half of the incoming nutrients. When a body of water becomes enriched in dissolved nutrients … nuisance algal blooms [occur]… often result in depletion of dissolved oxygen and the loss of sea-grasses. enhance local economies with additional income to growerswhere growers would be paid for the water cleaning services done by their oysters. Historically, waters of the Potomac and other Chesapeake region estuaries were filtered by oysters, but as their populations declined so did their filtration capabilities. This resulted in increased concentrations of nutrients and related water quality concerns, such as algal blooms and low dissolved oxygen. Dissolved oxygen, a key measure of water quality, is something fish and other aquatic species can’t survive without. Flowing into the Chesapeake Bay, the Potomac River is the fourth largest river on the Atlantic coast, with more than six million people living in its watershed. The NOAA and USGS research about human influences on water quality found that the effects of high nutrient levels have not changed overall since the early 1990s. There are, however, some signs of improvement, such as decreased nitrogen loads from the watershed, increased dissolved oxygen and decreased algal blooms in the upper estuary, and continued regrowth of seagrasses. The researchers believe the results of the study may be useful on a broad basis, as there are other river-dominated estuaries in the Chesapeake region and elsewhere along the U.S. coastline that could support shellfish aquaculture. Both have been on Sedona Dreams Radio previously but separately. Listeners can simply go to truthfrequencyradio.com & click on the “listen live” link on the home page when my show comes on. Listeners can also click on the “schedule” link on the home page to see when the Sedona Dreams show begins. You may also call one of the numbers listed below. Seven years into this debate, the pattern is clear: I keep offering to discuss the data—a normal part of the scientific process—and people on the other side steadfastly refuse. This, to me, is evidence that they are advocates and not scientists. As the court case moves forward, expect more alarming claims. But don’t expect them to have any more merit than the many previous false, and retracted,claims. Science, after all, is about debate and discourse, not twisting facts to fit a preconceived ideology. Scientists have three words for such behavior: fear of facts. Corey Goodman, a biologist, University of California, San Francisco faculty member and elected member of the National Academy of Sciences, lives in Marshall. 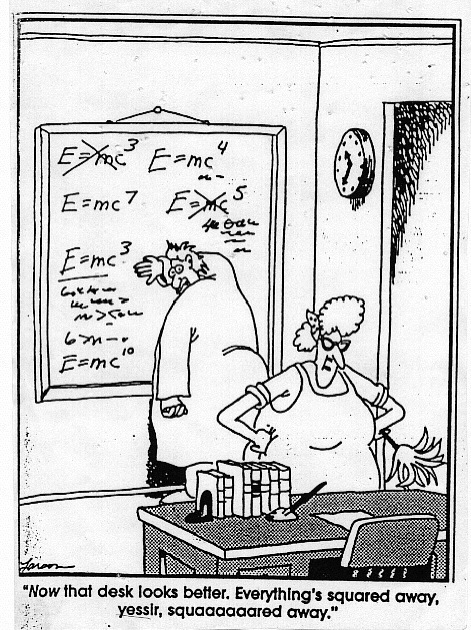 When I was a student at Stanford, one of the things I enjoyed most was the way scientists debated facts. No claim could be made without data to back it up, and all data were subject to robust scrutiny and examined for holes and errors. That was how we were taught to seek truth. We were encouraged to ask tough questions, and were taught that science is just as much about disproving old hypotheses as deriving new ones. It was the same culture of science I taught to my students throughout my career. Thus it came as a shock when, nearly 40 years later, I first got involved in the oyster farm debate and discovered that none of the National Park Service scientists or their local supporters wanted to discuss the data. At Supervisor Steve Kinsey’s request, I examined that data. As I reported at the county hearing on May 8, 2007, the data did not support their accusations. Yet efforts now underway to restore oysters to San Francisco Bay, and estuaries around the world, offer pertinent examples of how shellfish, as ecosystem engineers, can improve water quality, add to structural diversity in the estuarine system, and play a critical role in enhancing ecosystem biodiversity, productivity, and resilience. Aldo Leopold once argued that the first rule of intelligent tinkering was to save all the pieces. Saving the Drakes Bay Oyster Co. is one simple, sane step in that direction. JOE MUELLER’S July 31 Marin Voice column (“Doing what’s right for the ecology”) is surprisingly devoid of facts. Almost everything in his column is contradicted by the scientific literature on Drakes Estero. Mueller says oysters rob nutrients from marine wildlife. But a series of studies from UC Davis found just the opposite — marine invertebrates and fish are thriving in Drakes Estero. The National Marine Fisheries Service (responsible for protecting harbor seals under the Marine Mammal Protection Act) reported the seals are healthy and not being disturbed. The National Academy of Sciences found no evidence for any major environmental impact of the oyster farm on Drakes Estero. The study, published today in the journal PLOS ONE, is the most comprehensive examination of water quality on National Forest public grazing lands to date. Roughly 1.8 million livestock graze on national forest lands in the western United States each year, the study said. In California, 500 active grazing allotments support 97,000 livestock across 8 million acres on 17 national forests. “With an annual recreating population of over 26 million, California’s national forests are at the crossroad of a growing debate about the compatibility of livestock grazing with other activities dependent upon clean, safe water,” the study’s authors write. THE Sonoma City Council last week voted unanimously in support of Drakes Bay Oyster Co. and asked Rep. Jared Huffman, D-San Rafael, to support a bipartisan congressional investigation into the “questionable science” that misinformed Interior Secretary Salazar’s decision not to renew the farm’s permit. Huffman immediately rejected the council’s request. In so doing, he made four substantive mistakes. Dr. Corey Filed filed a rebuttal today with Interior Secretary Jewell in response to a letter to the Secretary on May 16 from Environmental Action Committee of West Marin (EAC) Executive Director Amy Trainer. In her letter to the Secretary, Amy Trainer misrepresented every report she cited. This is not a case about a difference of opinions. Rather, this is a case about the fabrication of facts and a cover-up. These misrepresentations were intended to blunt a scientific misconduct complaint filed with Interior Secretary Jewell on May 13 alleging that both the National Park Service (NPS) and U.S. Geological Service (USGS) knowingly fabricated harbor seal data in their reports. In the Final Environmental Impact Statement (FEIS), NPS claimed evidence of harbor seal disturbances by Drakes Bay Oyster Company (DBOC). EAC continues to try to deceive the public and elected officials with misinformation. It is difficult for our community to have an informed and thoughtful discussion when EAC continues to put out statements that they know are incorrect and misleading. The so-called evidence of harbor seal disturbances by DBOC, as presented in the FEIS, was falsified. NPS based its claim upon analysis by an independent harbor seal behavior expert, Dr. Brent Stewart of Hubbs-SeaWorld Research Institute. But in contrast to what the NPS stated in the FEIS, Dr. Stewart twice found just the opposite, namely, no evidence of disturbances by DBOC skiffs. Inverness, California, May 13, 2013 — A scientific misconduct complaint was filed today with Interior Secretary Jewell. This complaint was based in part on new information only made available this past week via both the Freedom of Information Act (FOIA) and from the independent scientist who did the harbor seal behavioral analysis for the National Park Service (NPS) and U.S. Geological Survey (USGS). The complaint, filed by Dr. Corey Goodman, concerns the NPS and USGS claim – shown to be false – that the independent scientist – Dr. Brent Stewart – found the oyster farm disturbed harbor seals at Drakes Estero, which he did not. The complaint alleges the public was deceived. The new information shows that evidence of disturbances was falsified. This revelation has profound implications for Secretary Salazar’s decision to not renew the oyster farm permit, showing that USGS and NPS apparently misinformed Secretary Salazar using scientific claims they knew were incorrect, and that the Department of Justice continues to use the same false science to misinform the federal court. In science, numbers often speak louder than words. Such is the case with data Jake de Grazia, a University of Southern California journalism student, and I collected concerning noise generated by the Drakes Bay Oyster Company (DBOC) skiff and oyster tumbler. (Jake is looking into the oyster controversy for his thesis.) In the Environmental Impact Statement (EIS) on the oyster farm, the National Park Service claimed that the skiff and tumbler are so noisy that they have a “major adverse impact,” disturbing harbor seals and visitor experience. The (sound) data we gathered reveal that science has taken a backseat to ideology at Drakes Estero. They also have implications for the federal court case. While Interior declares to the public that the science doesn’t matter, that is not what federal lawyers are saying. In court, they are arguing that removing the oyster farm would be in the public interest because it could eliminate the major soundscape impact. As Jake and I confirmed, there are no data to support that claim. “…there is nothing frivolous about our lawsuit, undertaken only after much deliberation and careful legal analysis by our pro bono legal team. The anguish expressed during our pre-filing deliberations by Ms. Faber, whose own lifetime of laudable service to the cause of conservation in Marin rivals even Dr. Griffin’s, including her tireless efforts to bring about the Coastal Act and her service on the original CCC, was, for me, particularly sobering. As made clear in our legal brief, the CCC has greatly exceeded its authority in this matter, working against its own statutory requirement to support coastal dependent activities, particularly aquaculture, and both replicating and exceeding authorities of the Fish and Game Commission, in direct violation of the Coastal Act. With 14.5 million residents to feed in the SF Bay Area today, and 21 million projected by mid-century, the importance of this critical, sustainable, nearly perfect marine protein resource is increasingly obvious to all who care about the future of sustainable food production in our region. DBOF is an archetypical example of exactly the type of food production we need more, not less of. It is part of the solution to our growing dilemma; it is most certainly not part of the problem. The Environmental Action Committee of West Marin (EAC), on March 6, 2013, submitted a letter to the White House Science Advisor, Dr. John Holdren (OSTP), objecting to Dr. Goodman’s recently submitted Scientific Misconduct Complaint. Earlier today, Dr. Goodman submitted a comprehensive rebuttal to the EAC’s letter (submitted to OSTP by NPCA’s Neal Desai). On March 4, 2013, I asked OSTP to establish and oversee a high-level investigation of scientific misconduct involving three federal agencies (NPS, USGS, and MMC), all linked to misconduct by NPS. I wrote that scientific misconduct emanating from NPS threatens to undermine one of the hallmarks of your tenure as OSTP Director: the establishment and implementation of President Obama’s Policy on Scientific Integrity. My submission has come under attack by the Environmental Action Committee of West Marin (EAC) and others who do not share our view that the scientific method is core to the strength of our nation. Rather, they have an ideology and pre-determined agenda for which the ends justify the means. What we as scientists rely on as facts and data, they see as simply fungible inconveniences. If the real data get in the way, they can be changed as they wish. To them, data are a means to an end. For NPS and their supporters, this is ideology, not science. Their goal is to get rid of the oyster farm from Drakes Estero by any means necessary. They are oblivious or are unconcerned that their false science also threatens the shellfish industry nationally and internationally, in contrast to a large body of good science showing that shellfish aquaculture is environmentally beneficial. Their agenda is to turn Drakes Estero into ‘wilderness’ – whatever the cost or collateral damage. This issue before OSTP is not about an oyster farm, and it is not about oysters or harbor seals. It is also, in contrast to what EAC wrote to you, neither about the Secretary’s decision, nor the Federal Court rulings. Rather, it is about whether we as a nation are truly committed to returning science to its rightful place in the federal government. For the complete text of Dr. Goodman’s letter click the link below. 03-04-13 Email from Dr. Corey Goodman to White House Office of Science and Technology on Misconduct involving three agencies. I write to ask the White House Office of Science and Technology Policy (OSTP) to establish and oversee a high-level investigation of scientific misconduct involving three federal agencies (NPS, USGS, and MMC), all linked to misconduct by NPS. In the past couple of years, a debate in Northern California over wilderness protection, sustainable agriculture, and the integrity of science has spiraled into the dirt. The fight is over whether to continue to permit a small privately managed oyster farm, the Drakes Bay Oyster Company, to continue to operate inside what is now the Point Reyes National Seashore in Marin County, California. The oyster operation predates the Park, having been in Drakes Estero for nearly a century, but the Estero is now eligible for wilderness status. Supporters of wilderness believe the oyster farm is an incompatible use and should be closed. Supporters of local sustainable agriculture believe the farm should remain because of its history, benign environmental impacts, and role in the local economy. In late 2012, after an extensive debate marked by disturbing scientific misconduct and abuse, local acrimony among long-time friends, and controversy among federal and state agencies, Interior Secretary Salazar ruled that the farm should be closed, giving the owners a mere 90 days to remove their operations, fire their employees, and abandon the farm. Too often in the past few years bad science, or indeed a philosophy antithetical to science, has been pushed by special interests and some policymakers. This isn’t new — there is a long history of pseudoscientific or downright anti-scientific thinking and political culture — ironic, given how much founding fathers like Benjamin Franklin valued science. selectively presented, over-interpreted, or misrepresented the available science on the potential impacts of the oyster mariculture operation. In this case, I believe the decision to close the farm was the wrong one, done for the wrong reason, and it should be overturned. Supporters of the farm are still fighting, and it is possible that there will be a change of heart at either the federal level, or in the courts. He (Gosliner) said ‘…. The allegations are probably not true or have a good alternative explanation.”’…. ….Mr. Gosliner quoted from the 1990 Memorandum of Understanding between the MMC and the DOC OIG. …., Mr. Gosliner should not be involved in this investigation. He admitted that he had little time to read the complaint, but nevertheless told the press that the allegations are “probably not true.” He also said that the complaint concerned scientific misconduct, when the complaint was filed primarily concerning “misconduct” and “deception.” Much of the complaint involves the violation of laws, policies, guidelines, and regulations, and deceptive statements to the public and elected officials, and does not involve science per se (that is largely relegated to the appendix). In my own research, reading through everything I’ve been able to find about the designation of wilderness at Point Reyes – the planning documents, comment letters from environmental organizations and members of the public, and testimony from Congressional hearings, as well as the formal bills and reports, and subsequent management plans – I have not come across any statements anticipating closure of the oyster farm in 2012. Information Quality Complaint to National Park Service | Cause of Action. On August 7, 2012, a Data Quality Act Complaint was filed with the National Park Service by Dr. Corey Goodman and Kevin and Nancy Lunny, owners, Drakes Bay Oyster Company to make corrections as required by law and policy in the NPS Draft Environmental Impact Statement (DEIS) and the Atkins Final Peer Review (March 2012). NPS must acknowledge the report within 10 days and by statute, respond within 60 days. To comply with applicable minimum information-quality standards, all scientific information that NPS disseminates in publications such as the DEIS and Atkins Peer Review Report must be, among other things, accurate and timely; based on the best available science and supporting studies and the most current information available; highly transparent; supported by reliable data, including on-site data when required by law; consistent with sound and accepted scientific practices and policies; evidence-based; reproducible by qualified third parties; and objective and unbiased in terms of both presentation and substance. NPS can only claim that Alternative A is the “environmentally preferred alternative” because it flagrantly and repeatedly failed to comply with these minimum information-quality standards. Conclusions in the DEIS that DBOC causes “major” long-term adverse impacts on Drakes Estero’s “soundscape” and “wilderness” are based on inaccurate, nontransparent, false, and misleading data and analysis that violates NPS’s information-quality guidelines, as are claims that DBOC causes “moderate” long-term adverse impacts on Drakes Estero’s “harbor seals,” “birds and bird habitat,” and “visitor and recreation experience.” If the DEIS is corrected to meet basic minimum information-quality standards, it becomes clear that DBOC’s operations do not have long-term adverse impacts on Drakes Estero’s environment. Click on the link above or copy and paste this link into your web browser http://causeofaction.org/2012/08/08/information-quality-complaint-to-national-park-service/. russianrivertimes | Just another WordPress.com site. the oyster farm, but a host of other issues. makes no difference to the conclusions of the EIS. peer review consultant ATKINS to Dr. Ralph Morgenweck. DOI Scientific Integrity Officer. it’s too complicated and that tired, over-used scientific excuse, ‘further research is required’. It never addresses the huge errors caused by the bogus NPS data nor its origin. For the full article, please click on the link above. 06-07-2012 Dr. Goodman regarding Photographic Evidence of Sound Deception in the dEIS. 6. Knowingly deceived the public and peer-reviewers in the DEIS. The word ‘deception’ is not found in the Interior Scientific Integrity Policy. It is not part of the definition of scientific misconduct. Rather, it is part of the definition of FRAUD.” Dr. Goodman explained. (emphasis added is mine). This is a large file and may take extra time to open. 12-09-11 Actual study of Drakes Bay Oyster Company Boats and equipment reveals the deception in the dEIS of the NPS. “ENVIRON International Corporation (ENVIRON) has reviewed the Draft Environmental Impact Statement (DEIS) Drakes Bay Oyster Company Special Use Permit (ID: 43390), and appreciates this opportunity to report our technical comments to the National Park Service (NPS) in print form. ENVIRON regularly participates in NEPA processes such as this, and respects the effort put forth by the NPS in order to develop this draft document. The purpose of these comments is to assist the NPS in developing a more scientifically accurate and complete final document that is consistent with NEPA and NPS policy. In general, the structure of the DEIS is unusual in that there is no alternative that represents the proposed action. Neither is there an alternative that represents a continuation of current conditions. In the current structure of the DEIS, the public is left to glean unknown conditions without the Drakes Bay Oyster Company (DBOC) as the no action scenario. Consequently, the impacts resulting from conditions under alternatives that depart from this unknown status (Alternative A) are even more difficult to understand. No explanation is provided for this deviation from standard NEPA protocol, and ENVIRON questions the efficacy of this approach. Setting aside the DEIS structure, comments have been developed in several topic areas. Briefly, the following three points, as stated by Dr. Corey Goodman, sum up the MMC report. 1. The NPS data are too thin, and too highly leveraged by a stochastic event in 2003, to be able to support the NPS correlation between harbor seals and oyster activity. Moreover, the NPS data are inadequate for MMC to affirm the NPS claim of a correlation between harbor seals and oyster activity. 2. What was called a long-term displacement OUT of Drakes Estero was actually a short-term displacement INTO Drakes Estero caused by events at Double Point. There is no evidence for long-term spatial displacement of seals and pups OUT of Drakes Estero that can be related to shellfish aquaculture. 3. The MMC mistakes could have been avoided had the MMC proceeded with their original open process rather than the insular closed process they conducted. Open dialogue, open discussion, and open exchange could have helped avoid these mistakes. Unfortunately, the closed process led to a flawed MMC Report. 10-16-2011, Dr. Corey Goodman gave a presentation to the community about the science behind the Environmental Impact Statement. The National Park Service was invited to share the podium with Dr. Goodman for an open discussion of the science behind the draft EIS followed by a Q&A with the audience. Three days before the event the NPS declined the invitation and suggested the public attend their “open house” meetings instead to follow later that week. 150 attendees were treated to an hour and a half presentation of the science followed by over two hours of Q&A. A video of Dr. Goodman’s October 16, 2011 talk at the Dance Palace on his analysis of the science behind the draft EIS and the Becker 2011 paper have been posted. … oyster reefs once dominated many estuaries… ecologically and economically… oyster reefs [are at] the brink of functional extinction worldwide…. Oysters have been identified as a threatened or imperiled species and as a threatened and declining habitat by a number of countries in Northern Europe, around the Black Sea, in the United Kingdom, and elsewhere…. Similar listings are appropriate in many regions and countries, including in the United States…. Oyster reefs and beds were once a dominant structural and ecological component of estuaries around the globe, fueling coastal economies for centuries. [Oysters] have supported civilizations for millenia, from Romans to California railroad workers…. In 1864, 700 million European flat oysters… were consumed in London, and nearly 120,000 workers were employed as oyster dredgers in Britain. Shell piles from historical harvests in the southwest of France contain more than 1 trillion shells apiece, underscoring both the productivity of the species and the scale of harvest …. In the 1870s, intertidal reefs of the eastern oyster extended for miles along the main axis of the James River in the Chesapeake Bay; by the 1940s, these reefs had largely disappeared …. In many coastal areas, including the Texas coast, roads were paved with oyster shells…. A river of environmental misinformation flows all the way from a card table in Sebastopol, across the country, down C Street in Washington, past the Department of Interior, and eventually discharges into the halls of Congress. The Russian River Times tracked it to its source. A few days ago, at a table outside the Sebastopol Whole Foods store, a representative of a local environmental coalition was asking patrons to sign a petition. It asked Rep. Lynn Woolsey to reverse her support of Senator Feinstein’s proposed legislation to extend the lease of a historic oyster farm, located on Drake’s Estero within Point Reyes National Seashore. According to the petition handout, it was being presented by Save Drakes Bay (SDB), a coalition of environmental groups, including amongst others, the Sierra Club, the National Parks Conservation Association and the Environmental Action Committee of West Marin. The person at the table, who identified himself as ‘Brian’ showed an aerial photo of eel grass beds, pointing out that eelgrass, an important part of the ecosystem, was “nearly all gone” and that the shaded areas showed where it was “dying because of the oysters”. He claimed that the “seals were dying” as the result of the “oyster factory operation”. He claimed that if Feinstein’s amendment to the Park Service appropriations bill were approved, it would “destroy the Wilderness Act” for the commercial benefit of a local business owner. None of these charges are true. “…all of the ‘mariculture-related’ disturbances in 2007 cited by the NPS occurred in less than two weeks prior to the May 8, 2007 Marin County Board of Supervisors hearing. For the text of the entire report, click the link below. Dr. Sarah Allen concluded seals habituate to disturbances they determine not to be a threat after a 7 year 4 month study titled “Monitoring the Potential Impact of the Seismic Retrofit Construction Activities at the Richmond San Rafael Bridge on Harbor Seals…” in which “Construction-related disturbances,,,were attributed to … watercraft … and construction activities such as jack-hammering, rivet work, hammering and the movement of cranes on barges near [within 20 yards of] the haul-out site.” In contrast, DBOC boats are 750 yards away from harbor seal haul-out site. 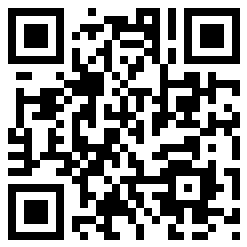 The QR image below is scannable with a smart phone and will take one right to the oysterzone blog’s home page. Email it to your friends and acquaintances and encourage them to pass it along.